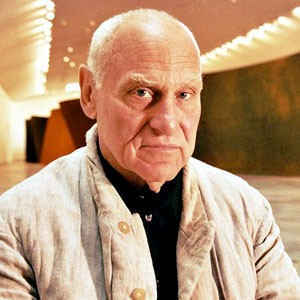 The American sculptor Richard Serra has been bestowed with the 2010 Prince of Asturias Award for the Arts. The decision was announced today by the Jury in Oviedo. Richard Serra is regarded as one of the most relevant avant-garde sculptors in the second half of the 20th century, for his innovative vision of incorporating urban spaces in pieces of art that inspire people to reflect. This candidacy was put forward by Carmen Gimenez, “Stephen and Nan Swid” Curator of Twentieth-Century Art at the Solomon R. Guggenheim Foundation (New York). Richard Serra was born in San Francisco (U.S.A.) in 1939. He studied at the University of California at Berkeley, where he graduated with a BA in English literature in 1961, and later studied Fine Arts at Yale University until 1964. He then broadened his training in Paris and Florence. Serra’s first exhibit was Live Animal Habitat at the “Galeria La Salita” in Rome. He began to exhibit his work in 1967 in New York, with gallery owner Leo Castelli. Since then, Serra has displayed his work in the most representative museums in Europe, America and Asia and is present in some of the most important public and private collections worldwide. Serra’s minimalist pieces and large-scale site-specific sculptures use industrial materials such as lead, steel and concrete. His earliest work, such as the piece Belts -on display at the Guggenheim in New York-, consist of assemblies of neon and rubber. Between 1968 and 1969 he created almost a hundred pieces made from lead, such as Splashing, made from molten lead hurled in large splashes against the wall and floor before solidifying. In 1981 he created one of his most spectacular sculptures, Tilted Arc, for the Federal Plaza in New York City, and in 1990, Afangar in Iceland. In Spain, his work is on display at the Reina Sofía Museum in Madrid, at the Museum of Contemporary Art in Barcelona and, at the Guggenheim in Bilbao, The Matter of Time, which Serra considers his most important work. Despite being mainly a sculptor, his art also includes graphic and film work. He recorded a series of films towards the end of the 60s, including Hand Catching Lead and Hands Tied, both in 1968, which focus on the repetitive and systematic execution of simple tasks. Recipient of an Honorary Ph.D from the Universities of Yale, London and the Public University of Navarra, among others, he is Knight (1985) and Commander (2008) of the Order of Arts and Letters of the French Academy. In 2008 he was decorated with the newly-created Order of the Arts and Letters of Spain, granted by the Ministry of Culture. He is a member of the American Academy of Arts and Sciences and was presented with the Emperor’s Ring of the German City of Goslar and the Praemium Imperiale for Sculpture of Japan in 1994, among other distinctions. The Prince of Asturias Foundation’s statutes establish that the aim of the Awards is to acknowledge and extol ‘scientific, technical, cultural, social and humanistic work carried out by individuals, groups or institutions worldwide’. Consonant with this spirit, the Prince of Asturias Award for the Arts ‘will be bestowed upon the person, institution, group of people or group of institutions whose work in Architecture, Cinematography, Dance, Sculpture, Music, Painting or other forms of artistic expression constitutes a significant contribution to Mankind´s cultural heritage’. This year a total of 29 candidatures from Argentina, Australia, Austria, Cuba, Estonia, France, Greece, Italy, Panama, Portugal, Thailand, United Kingdom, United States and Spain ran for the award. This is the first of eight Prince of Asturias Awards, which are being bestowed this year for the thirtieth time. The rest of awards will be announced in the coming weeks in the following order: Social Sciences, Communication and Humanities, Technical and Scientific Research, Letters and International Cooperation, with the Sports and Concord awards being announced in September. Each of the Prince of Asturias Awards, which date back to 1981, is endowed with 50,000 Euros, a commissioned sculpture donated by Joan Miró, a diploma and an insignia. The awards will be presented in the autumn in Oviedo at a grand ceremony chaired by H.R.H. the Prince of Asturias.